How much will it cost to incorporate? How do requirements differ between states? What's the difference between a C -Corp, S- Corp & LLC? Which entities should I consider, and how do they compare? How does incorporating work? What should I expect? Is my company name available? Member-Managed or Manager-Managed? What's the Difference? A Member-Managed and a Manager-Managed LLC differ in the way that the company is run. A member-managed structure is the most common approach. This approach is recommended for companies where the members plan to have an active role in the daily activity of the company. This grants the members authority to act on behalf of the business. In a manager-managed LLC, the members act more like silent partners and leave the day-to-day management of the company to a member-appointed manager. This operating structure is applicable only if a single member will be involved in running the company - the manager appointed can be a member. Whichever managing approach the LLC chooses for its operation, it is important that the agreed upon rules and processes are clearly outlined in the company's operating agreement. What if I need to change my directors or members? It is a simple internal process to change a director or member. The company would need to have a meeting to pass a resolution indicating the new members or directors. Meeting minutes would be kept to record this transaction of resolution being signed by the current directors or members. It is also allowable, although generally not required, to file an amendment with the state naming the new directors or members. This allows for more formal documentation since the amendment would become part of the company's public record. Why Do I need a Registered Agent & Address? The first and most important reason that your business needs a registered agent and registered address is that it is required by law. 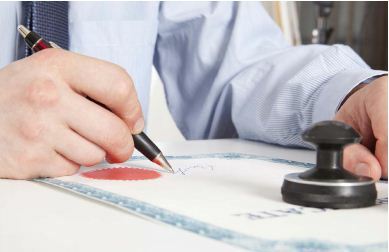 The state in which you choose to incorporate your business in will not approve the initial incorporation/ formation certificate without providing a valid registered agent and registered address. The registered agent and address must be located in the state of incorporation or formation and must be a physical street address. The registered address cannot be a post office box. The primary responsibility of the registered agent and registered address is to accept all annual report and tax notices from the state and to accept any Service of Process on behalf of the company in the event of a lawsuit. The registered agent must be available during normal business hours Monday – Friday to accept any Service of Process on behalf of the company. If your corporation or LLC fails to maintain a registered agent and registered address, the state may declare the company void for noncompliance. If a corporation or LLC is declared void or noncompliant by the state, it may lose all of the liability protections provided as an incorporated entity. An important first step after forming your LLC is to draft an operating agreement that outlines the rules and protocols of how the company will conduct business and who will be in positions of ownership and management. Specifically, the operating agreement describes the responsibilities of the managers and members, the percentage of member ownership, as well as voting rights. This operating agreement is crucial to providing liability protection to the members of the LLC. It should be maintained with other corporate records such as meeting minutes and membership certificates. In the operating agreement it is important to lay out the management style of the LLC. It can either be member-managed or manager-managed. A member-managed structure is the most common approach. This approach is recommended for companies where the members plan to have an active role in the daily activity of the company. This grants members authority to act on behalf of the business. In a manager-managed LLC, the members act more like silent partners and leave the day-to-day management of the company to a member-appointed manager. This operating structure is applicable only if a single member will be involved in running the company – the manager appointed can be a member. It is important to maintain a membership ledger to keep track of stock issued to members. In order to maintain good standing with the state of formation and the appointed registered agent, it is important to pay all annual fees to the relevant state authorities and registered agent in a timely manner. Although requirements for LLCs differ, maintaining a thorough record of all meeting minutes, documents, and internal resolutions is crucial for the successful function of your LLC. Beginning the incorporation process can seem intimidating, but the process is actually easy! For your convenience, American Incorporators has provided this three-step comprehensive list of how to get started! What state doe the entity of a physical presence in? What state does the entity have employee(s) located in? What state(s) does the entity conduct business in? What state does the entity intend to open a bank account in? Although American Incorporators does not provide legal or financial advice, if you answered any of the above questions with multiple states, you may be required by local agencies to register to do business in more than one state. An LLC is a legal entity separate and distinct from its owners, who are called "members." Members of an LLC may include any number of individuals, partnerships, corporations, trusts, nonresident aliens, etc. Liability: Absent of any specific personal guarantees, the amount of risk for members is limited to their investment in the LLC. Their personal assets are generally beyond reach of creditors. This protection is enjoyed by all members. LLC members may be active in company management without risking their limited liability status. Taxation: Members may also enjoy the same flow-through tax benefits which are applicable to partners of a partnership (Taxes are collected on individual partners, not on the entity). An S Corporation avoids the double taxation inherent to general business corporations, in which both profits and dividends are taxed. Ownership: Shareholders –By law, the number of eligible shareholders is limited to 100. Only individuals and certain trusts and estates are allowed to own stock. Control: Owners share ownership through stock, and business is managed through a Board of Directors; certain legal regulations also apply. Liability: Owner’s liability is generally limited to assets in corporation. Taxation: Corporation is not taxed; income is taxable to the shareholders at their personal income tax rate. The C Corporation is the most widely used by both small and large businesses that plan to have shareholders. Liability: Shareholder liability is generally limited to the each has invested in the corporation, unless acting as guarantor of corporate debt. Taxation: Corporation pays tax on business income at corporate tax rate. The profits are distributed to shareholders and are taxed at personal income tax rate. A non-profit corporation is designed to provide tax-exempt status for socially beneficial businesses that support charitable, religious, educational or scientific activities. It may not be used if you intend to run your business for profit. Most non-profit corporations have either tax-exempt or 501(c)(3) status, which exempts them from paying taxes on income. To obtain either of these tax designations, an Application for Recognition must be filed with the IRS. A general partnership involves at least two people, with no maximum on the number of partners allowed. There are no state filings required to form a partnership. Taxes are collected on individual partners, not on the entity. A limited partnership is a statutory form of partnership consisting of one or more general partners who manage the business and one or more limited partners who invest in the business and do not participate in management. A sole proprietorship is a business conducted by one owner, who is taxed as an individual. Why Do I need a Registered Agent and Address? A Sneak Peak at our Next Free eBook! In 2016, AIL will be publishing another free eBook! You have already learned about the importance of incorporation, and all of the details about choosing an entity type, naming your entity, and tools to run your newly formed business. You've incorporated, now what? AIL wants to provide entrepreneurs and new customers with industry insight on all the necessities to run your newly incorporated business. This new eBook will provide advice and information about business licenses, foreign qualifications, annual tax payments, and "Doing Business As" filings to ensure that your business is operating in compliance with specific state and national regulations. We are also sharing advice on the ins and outs of responsible financial planning for your business expenses, whether it be business insurance, book keeping or payroll! Lastly, we are sharing our insight on running a successful website, and how it can positively increase your company's visibility and even sales! Our new eBook is filled with helpful tips for continuing to run a successful business after you've taken the first step to incorporate! Look out for its launch in 2016! The way a small business is organized directly influences the effectiveness of the business. Proper organization saves a great amount of time and increases the overall productivity greatly. No matter what are the motives behind it, before the New Year, it is in every small business resolution to do planning and organization in a more proper manner. Planning and organization of a small business is highly important for success and growth of your small business, and there is a range of simple activities that will help you reach your goal in a cost-effective and efficient manner! These 5 small business organization tips will help you start out the new year on the right track. You can organize your business better by determining the goals that motivate everyone and challenges them to enhance their performance. 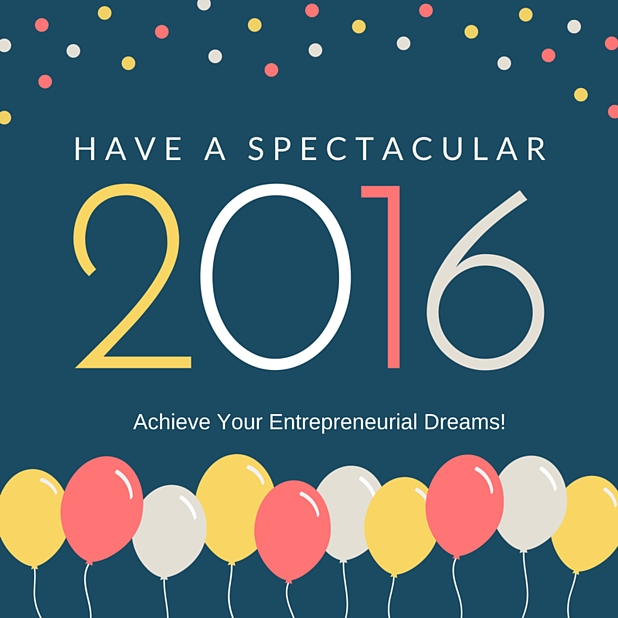 The New Year’s goals for your business should be realistic and reaching. If goals lack these essential attributes, you might lose your position to the competitors. Another benefit of setting goals is that they encourage the creation of benchmarks and standards, which can be used subsequently to evaluate the actual achievements of the business and productivity of its employees. One of the major contributors towards the success of a business is the prudence applied to the organization of finances. Weak financial control can lead towards misleading interpretation of the financial position and financial performance of a business. Therefore, it is highly important to organize the finances in order to enhance business growth. Finances can be organized by; separating personal and business finances, recording cash inflows and outflows, and keeping a digital record of financial details on a cloud application which allows access from remote locations. The productivity of the business as a whole depends upon the productivity of its employees. In order to enhance the productivity of your employees, you should ensure that there is unrestricted flow of communication within the organization. The responsibilities and targets of each employee should be clearly communicated. The performance analysis should be done on the basis of the assigned tasks and proper feedback should be provided. 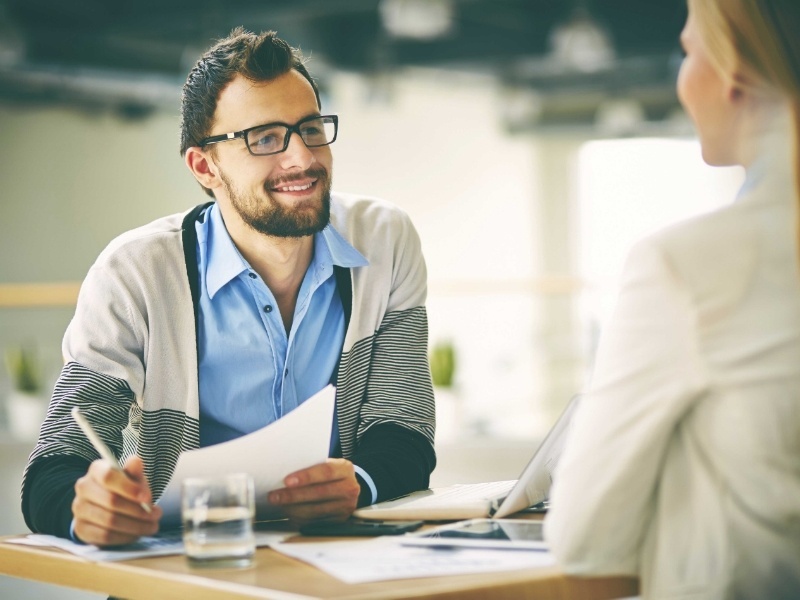 Employees should also be urged to provide their feedback and point out opportunities for growth. Another activity that can organize your small business is the organization and sorting of important papers. These papers may include State Documents, Annual Report Notifications, client feedback, receipts, leads, and so on. You can sort them in any manner that you find convenient: by date, the type of transactions, or by the customer. It is important that all the information regarding your business is easily accessible. Another important activity that leads to efficiency is keeping track of the growth and success of the business over a specified period of time. This can be done by measuring the extent to which you achieved the defined goals, comparison of this year’s financial performance with the comparative period, and comparing the performance of your business to other similar businesses in the industry. Along with all the above mentioned, proper human resource management is the key factor to success of any business. Even the best organization and plans will not do you any good if the goals are not met; make sure to hire the best possible people for any given task, make sure to motivate your employees, and never put forward plans that are not realistic. We'd like to wish everyone a Happy Holiday Season and look forward to helping you in the new year! Many successful businesses originally started out of a home office. Mary Kay and Apple are two well known companies that started out of a home. In recent years, starting a business from home has become a growing trend. Shows like "Shark Tank" have highlight individuals who start a businesses from home, but the show also highlights how important the correct planning is for success. Home businesses present plenty of benefits, but there are also pitfalls that can quickly turn a home business sour if not carefully avoided. We've collected 5 tips that will make starting a business from home in 2019 your most successful New Year's resolution yet! Know Your Market. Researching and understanding the business industry you are attempting to enter is the first step to success. Your research phase will help you form your business to best suit you, your audience, and your financial means. Many businesses fail due to poor planning or a poor understanding of the desired market. Networking is another great way to do your research. Connect with business owners within your desired industry to gain a better understanding of what you will be facing when you start a business from home. Incorporate Your Business. Incorporating your business is a crucial part of achieving success. This process designates the business as a separate entity from yourself. Through incorporation, you designate your business as a corporation or an LLC, and you can protect your personal assets, increase tax savings, and start raising capital. Create a Business Plan. A business plan is a great way to gain an understanding of whether or not the business you have chosen will be successful. Follow a business plan and carefully work through each step. Creating this business plan before you start a business from home will help you better understand your business model, goals, and finances before a problem arises. Hire a Professional for Taxation & Business Regulations. Understand the taxation rules and self-employment regulations at both national and state levels. 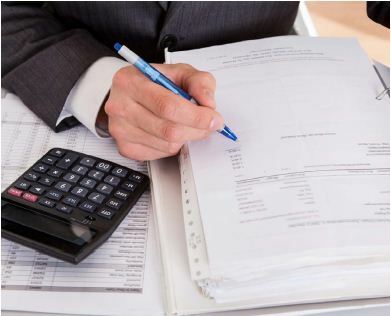 Seek out a professional accountant to gain a better understanding of what paperwork you need to file and how this potential business will affect your taxes and tax bracket. Being educated and informed is half the battle. Set Up The Space. When you decide to start a business from home you have to be ready to delegate a work space. A garage, a home office, or even a basement or attic, are perfectly acceptable spaces to start a business. Set up the area for business purposes and business purposes only. This space has to be able to accommodate the business you are planning, so be mindful of equipment and resource needs before deciding on a space. Making the decision to start a business from home can be incredibly rewarding and lucrative, if planning has been thorough and complete. If you decide to start a business from home in 2019, we hope these tips will help you along the way! Each year your corporation's state of formation or domestication will set obligations. These obligations are placed on corporate entities to maintain good standing with the state. The requirements vary by state, but can include paying a franchise tax to the Secretary of State or filing an annual report which lists officers and directors. What's an annual report? It is a document filed with the Secretary of State. The exact information required on the report and how often it is filed varies by state, but in general you should be prepared to answer questions such as the principal place of business, the company phone number and the names and addresses of officers and directors (or members and manages of an LLC). In order to maintain good standing, businesses must also maintain their registered agent office. If they are using a commercial agent this generally means renewing that service annually. Often the commercial registered agent can help companies meet their annual requirements through various compliance programs. Remember that these annual requirements are distinct and separate from any state or federal income tax that the company may owe. You should consult your accountant for income tax requirements specific to your business venture. For many small businesses, the end of the year can be a busy time. Rectifying paperwork and dealing with the new year can take time and detailed effort. We've collected 5 year-end small business tips that will help ease end of year stress and lead you into a profitable 2016. 1. Get Organized. It is important to take some time to review your books and make sure they're accurate. In this final stretch, getting things organized and catching up on regular organization will be a big help when tax time comes. Make sure that W-2 forms and 1099 forms are all together, organized and properly filed; if the forms aren't properly handled it, it can quickly turn into a problem for small business owners. 2. Stock Up. Along with getting everything organized, it is a good idea for small businesses to deal with tax bracket issues before the close of the year. Buying new equipment before 2015 is officially over becomes a write off for the 2015 tax year; the same goes for donating to a charity during the Holiday season. 3. Hire. Consider adding a Veteran to your payroll before the end of 2015. The government is offering tax credits up to $9,600 for employers who hire war veterans. The tax credit is especially helpful to small businesses, but the employment of a veteran is even better. Military vets generally have exceptional knowledge, discipline and work ethic; they are certainly an asset aside from tax credits. 5. Get Social. Social media is a branch of marketing that simply can not be avoided or ignored by small businesses . One of the best end of year small business tips that a business can utilize is to get connected on the newest sites; or at the very least update existing profiles and websites. Adding Facebook, Twitter, and Google+ allows small businesses to "join the conversation" and generate new interest and business. There are plenty of social media management software applications out there to help small businesses manage social media and analyze changes in consumer activity. 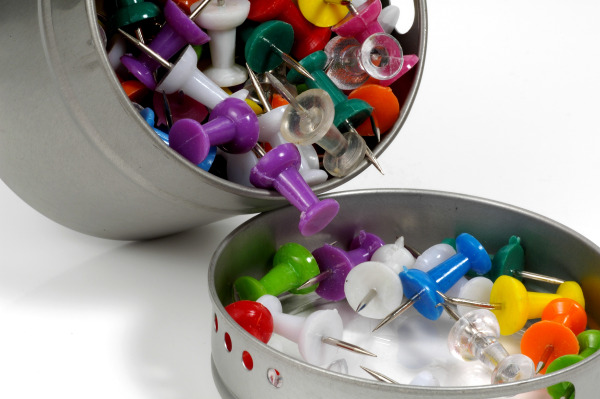 Take a look at these tools recommended for social media management. HootSuite With this tool, you're able to manage multiple social profiles, schedule messages and tweets, and track brand mentions. Klout By using Klout, you'll receive a score, highlighting your influence and strong categories within social media. By utilizing these end of year small business tips, the new year can be bright, fresh and wonderfully profitable. Stay tuned for more year end tips as we come closer to the end of the year! If you haven't incorporated your business yet, learn more about how you can protect your personal assets through incorporation! Copyright© 2015, American Incorporators Ltd.